I have been fairly consumed with holiday preparation this week. Stitching continues on a number of projects. 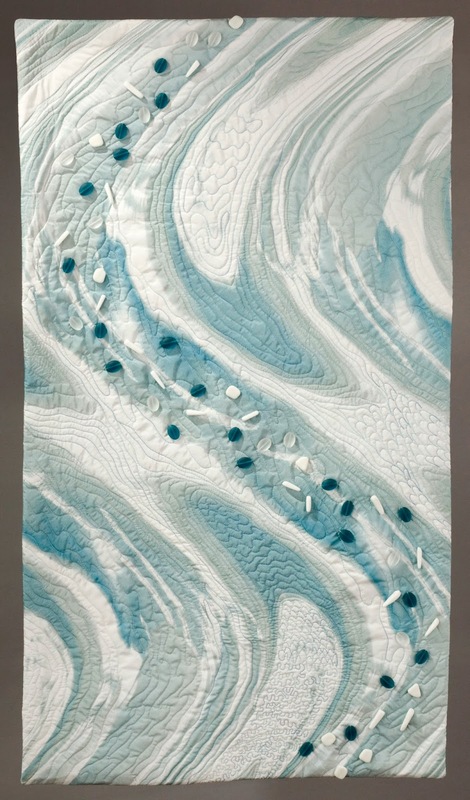 I am happy to report that my quilt, Ice Flow, was successfully auctioned off in the Northwest Museum of Arts and Culture event in November and now has a new home in Spokane, WA. It was one of my favorite pieces and I am happy to know it is appreciated. Given my roots in the art of aikido, which is all about blending and working with energy, the whole concept of flow has always intrigued me. A few weeks ago, I spent a few luxurious days wandering in the Metropolitan Museum of Art in New York City. 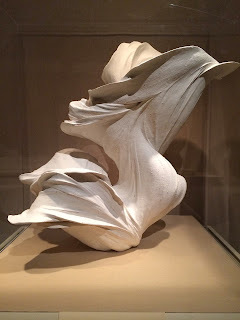 One of the pieces that I was immediately drawn to was, not surprisingly, entitled Flow. It is by Fujikasa Satoko and is described as a sand-glazed stoneware with matte white slip. Those two pieces should have been shown side by side! Congratulations on the sale. yes, I agree, they work well together! Congratulations! Love the Satoko piece. 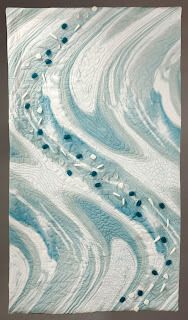 I have a fondness for "flow", too, as you may know!